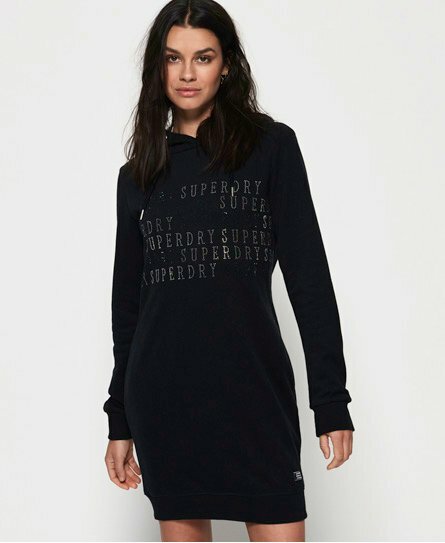 Superdry women's Dawson sparkle sweat dress. Bring some shine to your wardrobe this season with the Dawson sparkle sweat dress, featuring a drawstring hood, an embellished logo graphic on the chest and a ribbed hem and cuffs. The dress is completed with a logo badge above the hem.